Dear Carolyn: My 13-year-old niece is interviewing family members about their religious beliefs for a school project. Niece wants to talk to me this weekend. First, you have to feel for this guy. It’s an honor when young family members request to feature you in their school projects. The writer is obviously excited to share a bit of himself with his niece. Unfortunately, he lives in a country still not generally warm to nonbelievers. Carolyn: “I respect the beliefs of others, but I don’t shy away from openly and proudly proclaiming my own (lack of) beliefs.” That is, if she asks you how you regard beliefs that differ from yours. If she doesn’t ask that, then just stick to the point of the project, and answer truthfully whatever questions she asks about your beliefs. Why do you need to spin your atheism to be palatable to the mother? It’s not like you’re sneaking your niece liquor or R-rated movies; you’re just telling your truth. Plus, the project isn’t about orchestrating family harmony, it’s about your niece’s education. Plus, any discomfort her mom feels is the mom’s problem, and if the niece wants to talk to Mom about it or vice versa, then nothing’s stopping them. Plus, if her mother thinks atheism is so radioactive that her daughter’s faith can’t withstand mention of it, then she doesn’t have much faith in her faith. Carolyn gets all the points for her answer. Atheism is not something Atheist Uncle needs to hide. Presumably, his niece’s project is about discovering religious diversity; and atheism is an increasing presence in that space. He owes it to his niece to be honest. Carolyn is also correct in writing that a person who is threatened by the mere mention of atheism isn’t displaying a lot of conviction in her beliefs. If that’s the case, the believer needs to settle that within herself – the atheist shouldn’t be expected to hide who he is. 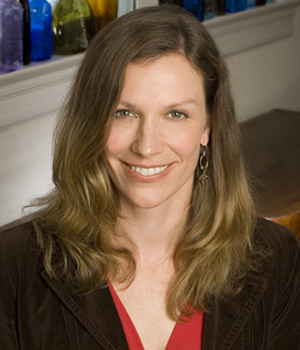 If you would like to thank Carolyn Hax for her affirming advice, you can email her at tellme@washpost.com.